Warranty in your glove box. optional accessory. It provides the following additional services after ToyotaCare® expires. valid on commercial or fleet vehicles. &dash; See details in glove box. requires non-synthetic oil. Must be redeemed within 10 years of original purchase. you will receive 4 tire rotations. Must be redeemed within 10 years of original purchase. 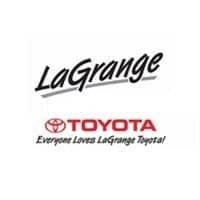 from your disablement site or an additional 25 miles to your preferred Toyota dealership. Fuel Delivery: we will inspect vehicle and if needed will provide up to 3 gallons of fuel. Lockout does not include key replacement. rentals per plan period. Limited to $35 per day. first. See Toyoguard® Limited Warranty in vehicle's glove box.